Consultant Ophthalmologist with expertise in conditions affecting the eyes and eyelids in Surrey and Hampshire. 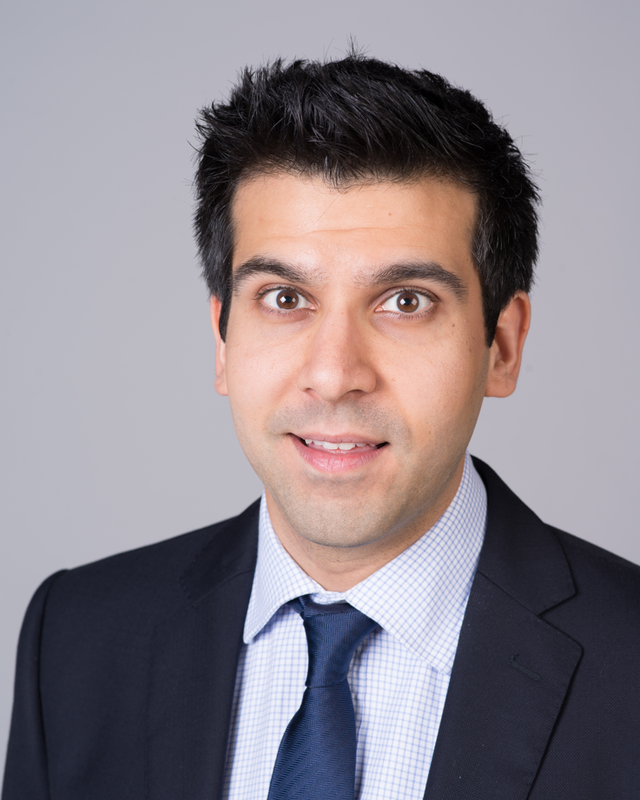 Mr Neil Modi is a Consultant Ophthalmologist practicing at Frimley Park Hospital, Camberley and Mount Alvernia Hospital, Guildford. He specialises in cataract surgery, glaucoma and eyelid conditions. He has over a decade of experience in treating eye conditions and has an excellent track record for safety and precision in his field. Mr Modi is passionate about his work, and particularly enjoys combining the mathematical and scientific precision required in vision correction using the latest formulae, algorithms and technology along with the artistic work of a cosmetic surgeon based on a detailed anatomical knowledge, when treating eyelid conditions and in cosmetic cases. Mr Modi is responsible for training eye surgeons on their way to becoming consultants at Frimley Park Hospital and is the lead for surgical simulation for the Kent-Surrey-Sussex training region. Mr Modi has published the textbook ‘Basic Science In Ophthalmology’ with Oxford University Press, which is used by trainee eye surgeons taking their Royal College of Ophthalmology exams. Mr Modi has himself published numerous peer reviewed articles and spoken at national and international meetings about his own research. He is a General Medical Council (GMC) registered Ophthalmic surgeon; a fellow of the Royal College of Ophthalmologists (RCOphth); a full member of the British Oculoplastic Surgery Society (BOPSS); a full member of the UK and Eire Glaucoma Society (UKEGS) and a full member of the UK and Ireland Society for Cataract and Refractive Surgeons (UKISCRS). He is on the specialist register for Ophthalmology. Mr Modi is known for his meticulous attention to detail and his ability to communicate complex medical problems in a way that is easy to understand. We offer bespoke cataract surgery with the very latest eye measurement technology, allowing more accurate intraocular lens (IOL) selection and a full choice of IOLs tailored to your needs. A common condition to develop in the first few years after cataract surgery is clouding of the 'posterior capsule.' This is a fine membrane that is kept behind after most of the natural lens is removed during cataract surgery. It holds the new lens in the correct position. If it becomes cloudy, a YAG laser can be used to pierce a small hole in to to allow one to see through the cloudy part of the membrane. Mr Modi is the laser lead at Frimley Park Hospital and can perform this procedure as an outpatient with eyedrop anaesthesia alone. Mr Modi provides a complete service including assessment, monitoring and treatment for both Ocular Hypertension, Narrow Angles and Glaucoma. All aspects of treatment is offered and includes topical eyedrop therapy, LASER (including YAG and SLT) and surgery such as minimally invasive MIGS surgery (including ECP, iStent and Xen gel stents) and conventional glaucoma surgery (Trabeculectomy). Glaucoma leads to loss of vision, which is irreversible and is one of the most common causes of sight loss in the UK today. Once diagnosed, it required life long follow up and treatment. Early diagnosis and treatment and regular assessment is imperative in retaining the best vision possible. Mr Modi uses the very latest technology to pick up the earliest signs of glaucoma and detect progression as it occurs. Glaucoma assessment includes: measurement of intraocular pressure with Goldmann applanation tonometry; gonioscopy to assess the drainage angle; visual field assessment; digital measures of the retinal nerve fibre layer; measurement of corneal thickness; full assessment of the eye for secondary factors including pigment dispersion or pseudoexfoliation and finally review and discussion of all measurments and examination findings. A summary is always provided with a personalized treatment plan. Oculoplastic (eyelid) surgery is the branch of medicine dealing with the numerous conditions that affect the eyelids. It involves treatment of conditions such as lumps and bumps, tumours of the eyelid or eyelid malposition. Mr Modi is a full member of the British Oculoplastic Surgery Society (BOPSS), meaning that he has the required training and expertise to perform surgery in this area. Eyelids can turn inwards (entropion) or outwards (ectropion). They can lie too low (ptosis) or there can be excess skin (dermatochalasis) which can be treated to clear the vision or for cosmetic reasons. Watery eyes can be due to a number of problems which may or may not be related to the eyelids. The lacrimal or tear duct system may be obstructed and this can be treated with surgery such as punctoplasty or external or endonasal dacrocystorhinostomy (DCR). Mr Modi offers treatment with anti-wrinkle injections and dermal fillers. Please feel free to ask his secretary about a free 15 minute cosmetic consultation with Mr Modi to discuss your questions about cosmetic treatments including blepharoplasty. For an appointment please contact Mr Modi’s secretary directly on 01483 901425 to arrange an appointment. Frimley Park Hospital (Camberley) – Mr Modi sees patients weekly on Monday evenings and Fridays. Mount Alvernia Hospital (Guildford) – Mr Modi sees patients weekly on Wednesday mornings. Leightons Opticians (Farnham) - Mr Modi sees patients by appointment on wednesday afternoons.